Nat and I recently attended a media event at Burgers & Burritos Hawaii on Kapahulu, where we got to sample (what else?) 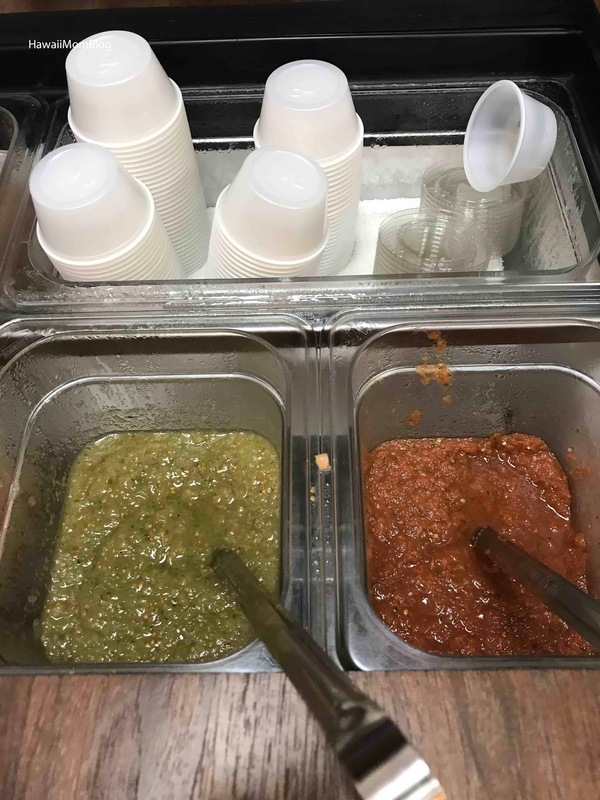 burgers, burritos, and more! 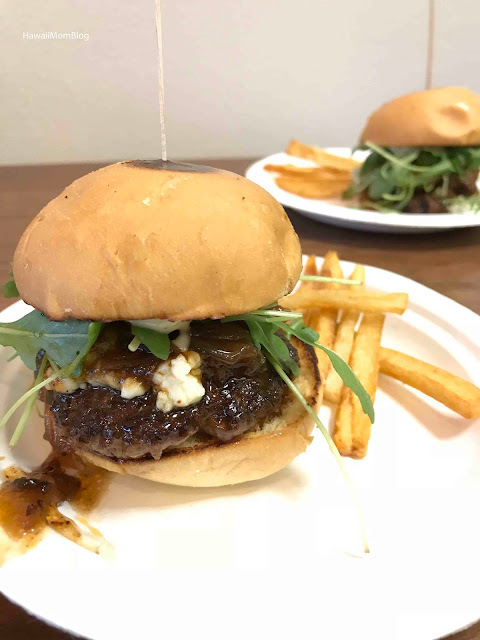 I was very hungry when we got to the event, and the first thing we were served was the Specialty Burger - a Big Island grass-fed beef patty topped with bleu cheese, specialty sauce (a sweet & savory balsamic reduction sauce with caramelized onions and crumbled bacon), baby arugula, and roasted garlic aioli sauce. I don't eat burgers (I haven't eaten a burger in 20 years! ), but I couldn't wait a second longer for the burritos to come out. The burger was SO GOOD! Nat is not a fan of bleu cheese, but I love bleu cheese, and together with the specialty sauce, it was burger bliss! Others at our table raved about the burger as well. The House-Cut Fries were very good. 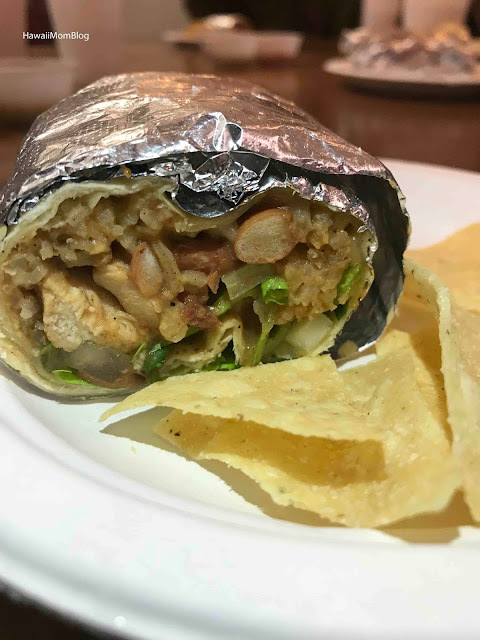 The Big Burrito consists of a choice of meat (beef, chicken, or pork) and choice of beans (black or pinto), along with rice, cheese, onions, cilantro, and lettuce. It was very tasty and filling! 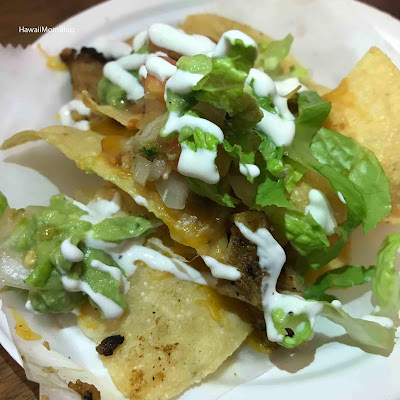 The Nachos are made with housemade chips, and topped with beans, cheese, Pico de Gallo, guacamole, sour cream, and choice of meat. The Taquitos - rolled beef tacos that are deep-fried, are served with guacamole, sour cream, and choice of beans, plus rice. 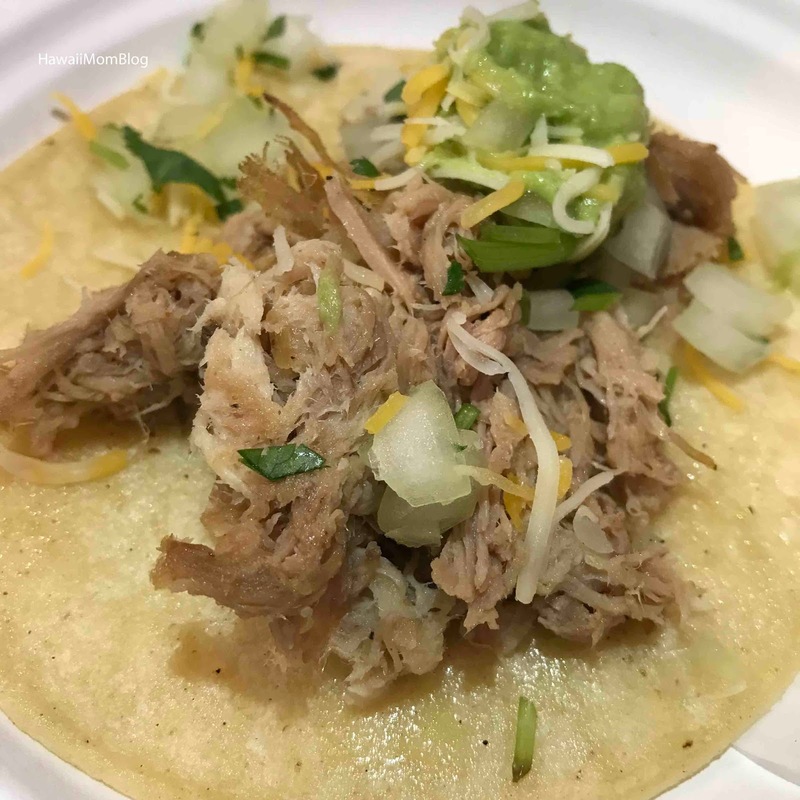 The Tacos are topped with onions and cilantro, and can be ordered a la carte, as a trio, or on a plate with beans and rice. 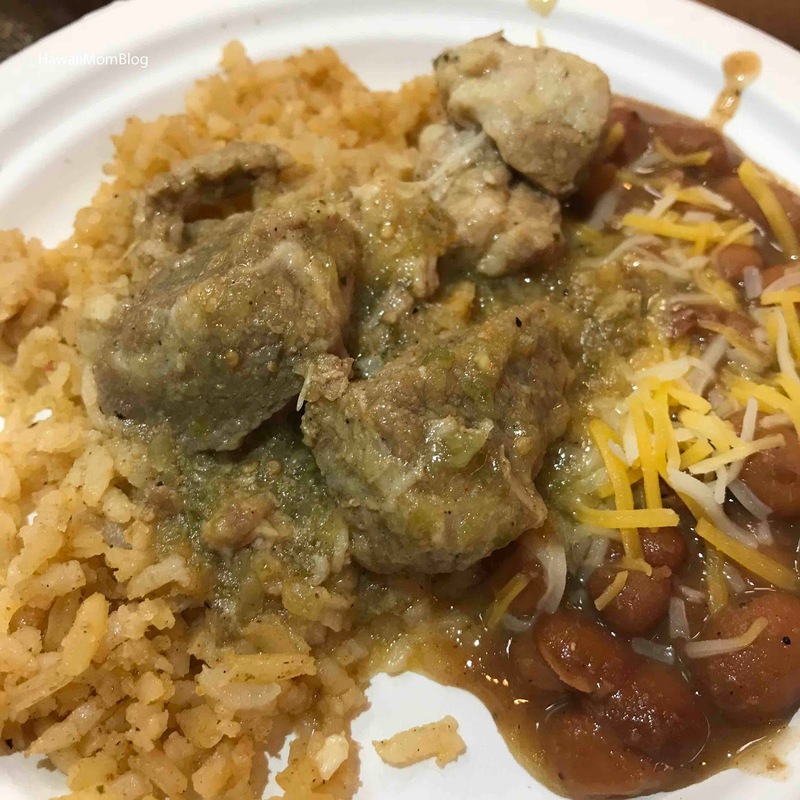 Chile Verde was a special of the evening - pork simmered in green chile sauce. The pork was tender and had a nice spiciness to it. 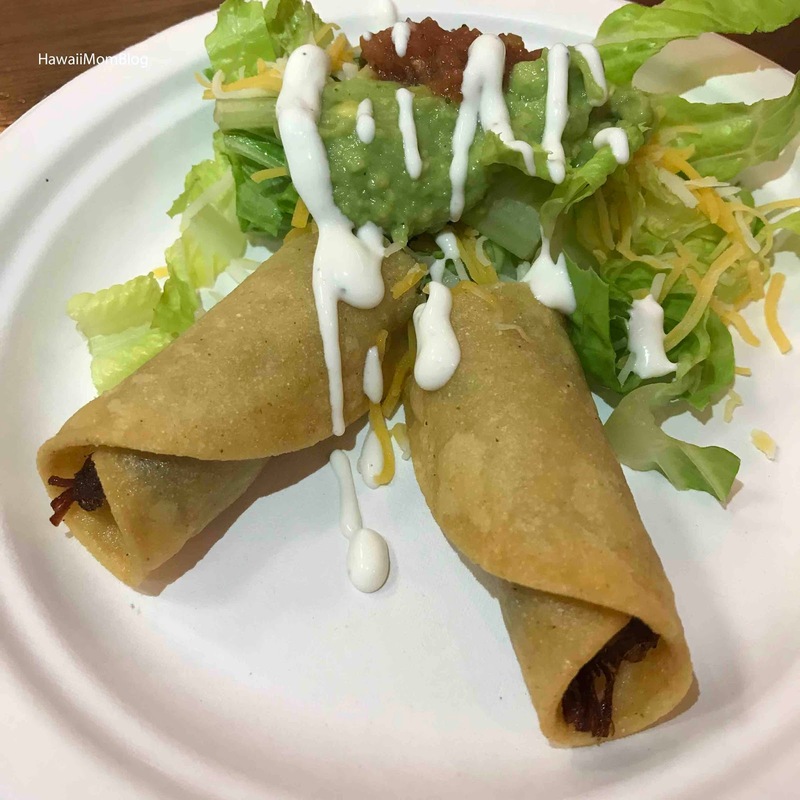 Also on the menu you'll find a Portabella Mushroom Sandwich, "Sonoran Style" Bacon-Wrapped Hot Dog, Quesadilla, Burrito Bowl, a House Burger with your choice of cheese and add-ons, and breakfast/brunch items! 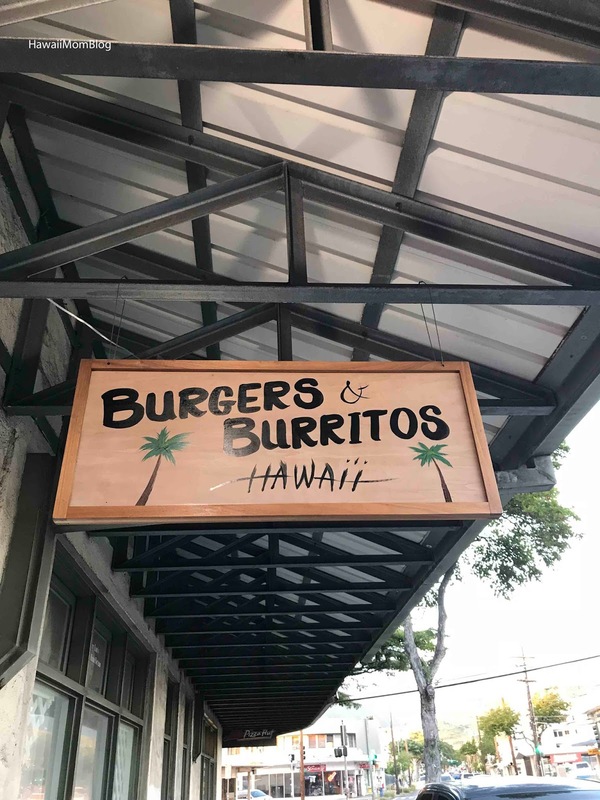 The eatery is very small, and finding parking may be an issue, but if you love burgers or burritos, especially ones made with grass-fed beef, homemade aiolis, and local produce, definitely check out Burgers & Burritos Hawaii.